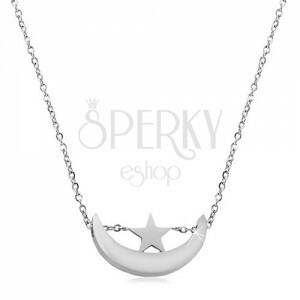 Steel necklace in silver shade, chain of oval rings, narrow moon crescent and a five-pointed star. By buying this product you can collect up to 3 points as a voucher of 0,60 €. Your reward points. 316L steel necklace in silver shade consists of a shiny chain with upright connected oval rings and of a pendant. 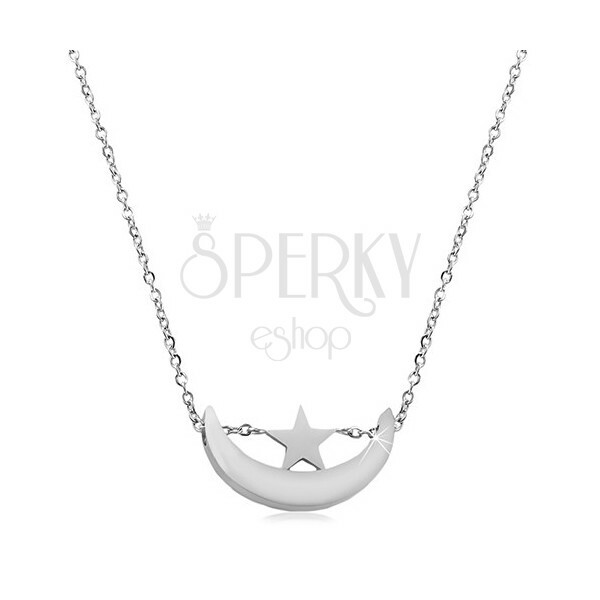 The pendant has the form of a horizontally placed moon crescent and a small five-pointed star. The pendant has shiny and smooth surface. The necklace has adjustable length and a lobster clasp.